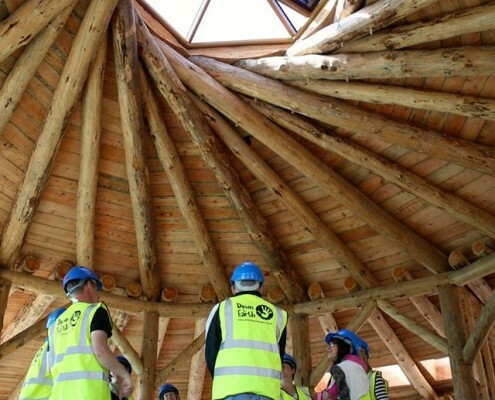 English Oak (Quercus robur) is a material that has been utilised for thousands of years and has become part of our national heritage. Oak is highly valued due to it’s beautiful grain and rich light brown colour which is simple to work and can leave an exquisite finish. 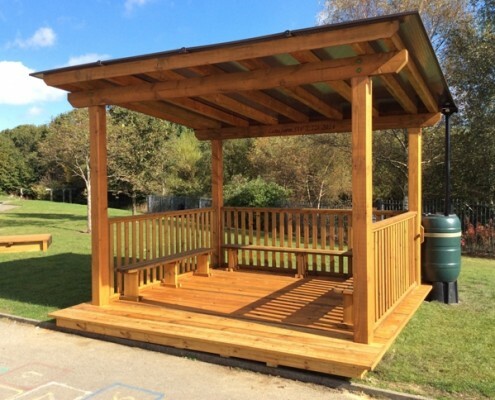 This timber can be stained or simply left to fade to an attractive silvery/grey colour which will tend to split and check if left to weather outdoors. 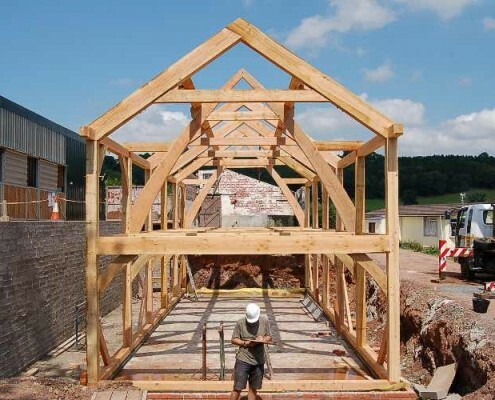 Alternatively Oak can be air or kiln dried which significantly reduces the moisture content making it suitable for joinery such as doors, furniture and flooring. 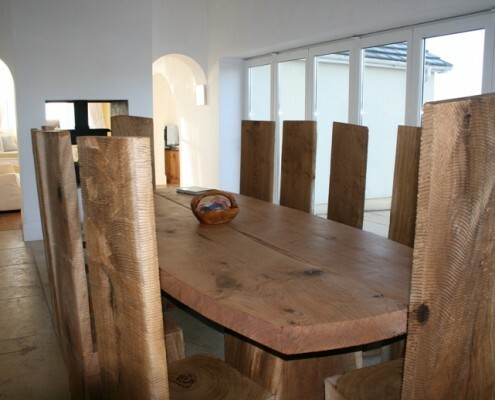 This fascinating material is very hard and strong which is highly resistant to decay making it one of the most popular timbers around. Douglas fir (Pseudotsuga menziesii) is native to North America is now one of the most widely used softwoods grown and used in the UK. 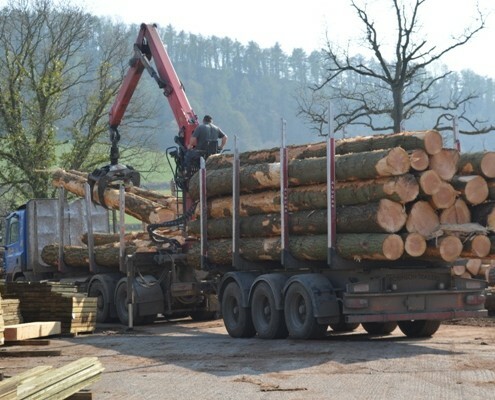 Valued for its strength to weight ratio Douglas fir is renowned for its construction and building purposes, popular with timber framers as a cost effective alternative to Oak due to its similar mechanical properties. In appearance Douglas fir is usually a light brown colour with a hint of red and/or yellow, with a generally straight grain. It has a distinct resinous odour when being worked and is notably durable in regard to decay. Larch. There are many different species of Larch available. At Cilfiegan Sawmill the most commonly used are Japanese or European. 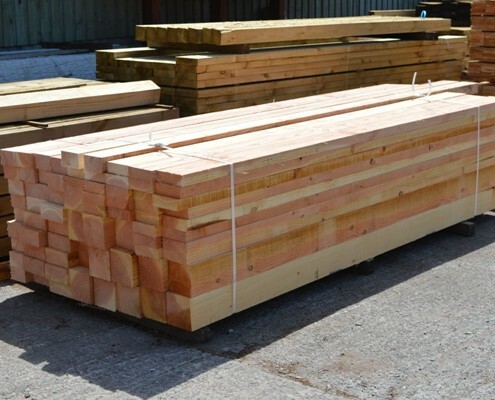 Similar to Douglas fir, Larch is strong and durable making it a good structural timber which is widely used for exterior beams and cladding. Its reddish brown appearance contrasting with bands of narrow white sap defines its striking grain. 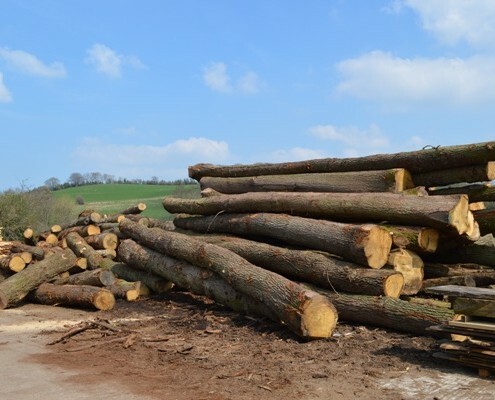 Larch is a very resinous timber and has a tendency to contain high numbers of knots within the wood, but overall a solid all round softwood product. 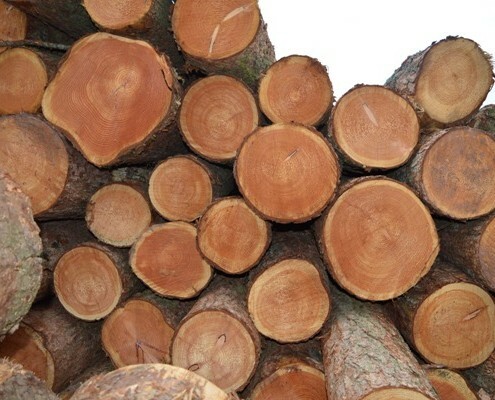 Western Red Cedar (Thuja plicata) is native to North America is a highly used durable wood which is naturally resistant to rot, decay and insect attack, therefore makes this timber long lasting and low maintenance. 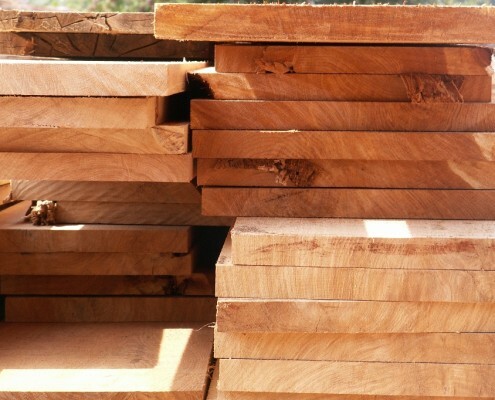 Many people choose Red Cedar for its striking aesthetics. The mixture of reddish and brown tones with random darker areas along with its straight grain really makes it a stand out building material. 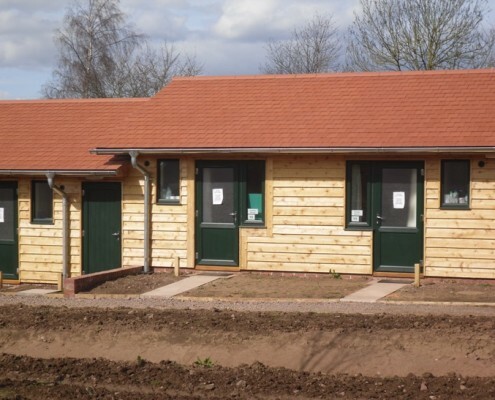 Western Red Cedar is generally soft in comparison with other softwoods not making it a first choice if choosing a timber based on strength although, it is a resin free timber which makes it an ideal choice for cladding and beehives, that’s without mentioning its strong aromatic scent when being worked.